GE's NEW Opal Ice Maker: How Does It Stack Up? » GE’s NEW Opal Ice Maker: How Does It Stack Up? GE’s NEW Opal Ice Maker: How Does It Stack Up? 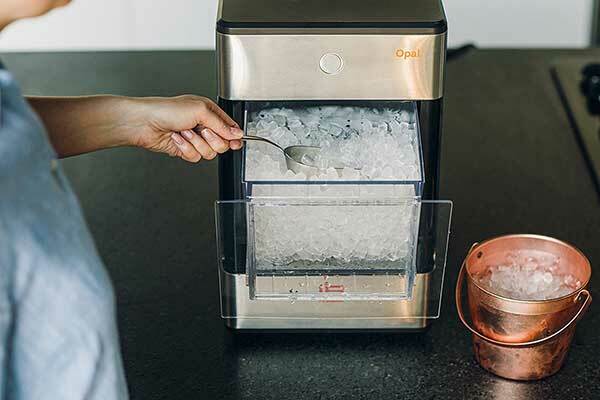 If you crave true, Sonic-style chewable nugget ice, then the new Opal ice maker is for you. This is the eighth product idea to come to life in the First Build factory. 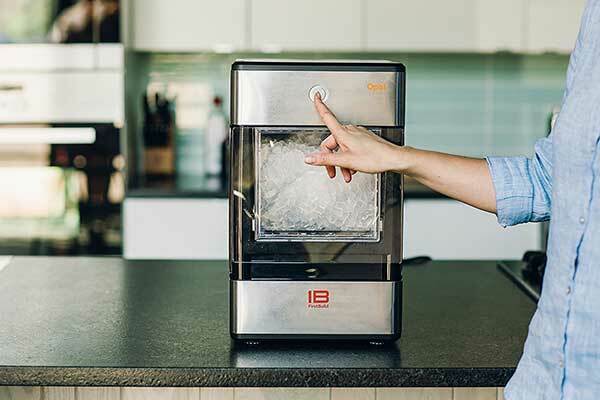 Launched first on IndieGoGo, the Opal Ice Maker has garnered a ton of excited reviews with expert reviewers and customer literally gushing over the quality of its soft, chewy ice. So.... how does it stack up against other Sonic ice makers? This is the first proper countertop nugget ice maker that makes sonic ice and is affordable. Other true Sonic ice machines like the Scotsman line are too expensive while less expensive ice machines like the Della Easy-Touch portable ice maker don’t produce true nugget ice, just a close approximation. So the Opal ice maker is a really big deal. No wonder there was so much excitement when it launched. 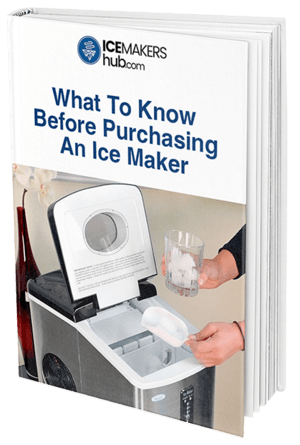 This ice maker started its journey on IdieGoGo, where it got almost $3 million from over six thousand backers. It received almost 17 times the original funding goal, showing just how much anticipation there was for an affordable nugget ice maker. At $500, you won’t get a cheaper true sonic ice maker than this. Other commercial-quality nugget ice makers cost well over $2,000. But is it any good in real life? According to early customer feedback, it’s better than expected. People are addicted to the machine and its soft, chewy ice. 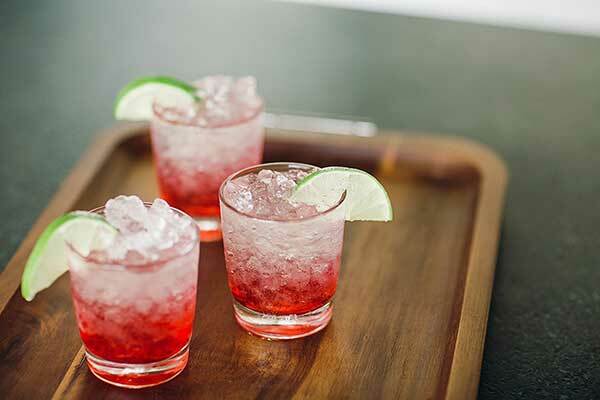 The ice, according to one customer, is better than any he has ever gotten at a restaurant. The Opal makes a pound of ice every hour and can hold up to three pounds. It’s slightly bigger than a portable ice maker but still small enough to fit on your countertop. See the specs above for dimensions. This is a great nugget ice maker. If you are obsessed with sonic ice, get it. It’s a good bargain. Oh, by the way, did you know it comes with an app and Bluetooth connectivity? Find out more below. It takes only 15 minutes to make the first nugget of ice and 1 hour to make a full pound of nuggets. So even if you have several friends around, the machine produces nuggets quickly enough to keep everyone’s drinks chilled. The bin’s storage capacity is 3 lbs. This means the bin can only hold 3 pounds of ice at a time. When it’s full, the ice maker stops making any more ice until you clear it. So you can even leave it working overnight without worrying that you will find a wet mess all over the floor in the morning. If you need more than 3lbs of ice, some users recommend you store the ice in the freezer. Just place the nuggets in a plastic bag and put it in the freezer. The ice maker can then keep making more ice. This is a great idea if you are preparing for a bigger event such as a birthday party or wedding shower. Note that this ice maker is not meant for commercial use. If you try to use it in a bar or restaurant, you’ll disappoint your customers. It’s a kitchen appliance. 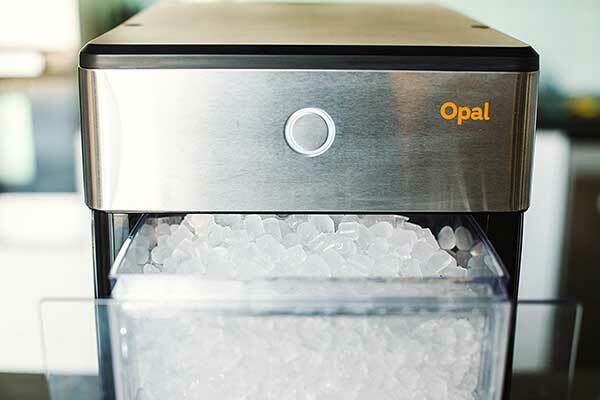 The Opal nugget ice maker is really easy to use. It doesn’t use a water line. Instead, it has a 2.5 quarts reservoir. So you have to add water manually any time you want to make ice. It has a water recycling feature where any melted water in the storage bin is sent back to the reservoir and reused. With no water line needed, setup is a breeze. Just unbox the ice maker, set it up on your counter and connect it to a standard power socket. You need to clean the inside and run a rinse cycle first to get rid of any factory and plastic tastes. Use the manual for help on cleaning the unit. When you are ready to make ice, just add clean potable water to the reservoir and press the start button. You can set a schedule for the ice maker to follow. For this, you need to download the First Build app. It’s free. 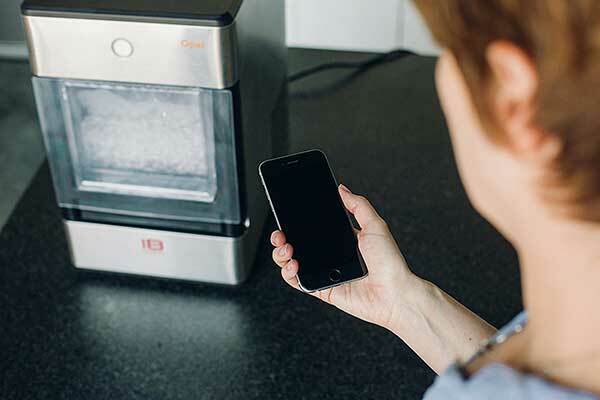 Pair it with your Opal ice maker via Bluetooth. You can now use the app to set an ice making schedule. You can set a custom schedule for each day or set a specific time daily. When you are in Bluetooth range, you can also monitor the status of the unit and turn the night light on or off. Most customers are elated about their new buy. Most didn’t expect it to be this good. It makes ice fast and silently. The best part is the ice quality. It is soft and chewy, just like sonic ice. The only issue is the small storage bin especially for large families and those who plan on holding frequent events. But you can always store the ice in a freezer as one customer advised. If you are still using your freezer to make ice, you are living in the Stone Age. Freezers are slow and inefficient. Get an ice maker. 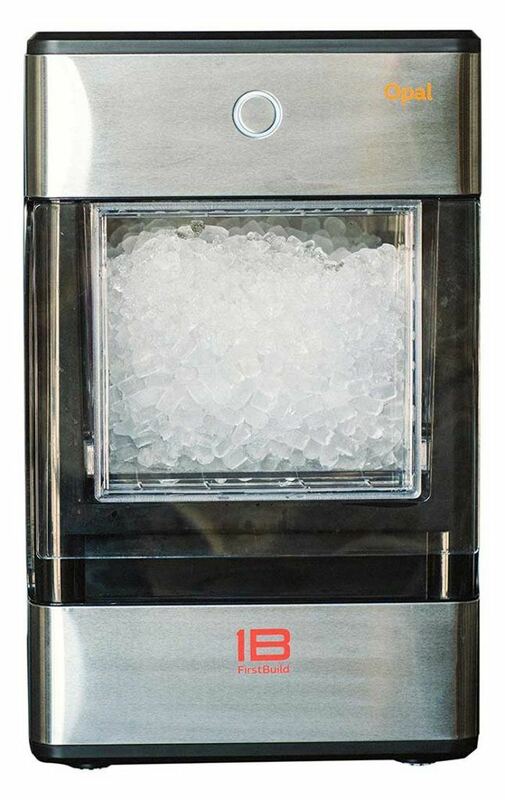 If you prefer the soft chewable ice to the hard bullet-shaped pellets of most ice makers, then get the Opal nugget ice maker. There is no better choice on the market, today. The price is great, and it comes with a 1-year warranty. Finding a good quality and affordable Sonic-style nugget ice maker has been something of a unicorn search. 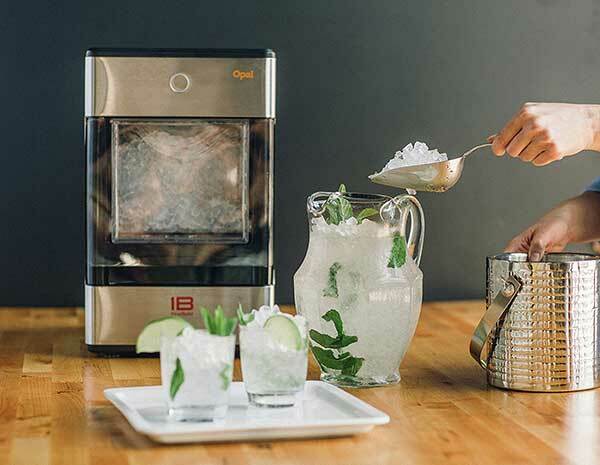 The New Opal nugget ice maker is exactly what many people were looking for. It makes real sonic ice, the price is reasonable, and it takes up very little space in your kitchen. The extra features such as Bluetooth and app control are nice bonuses.